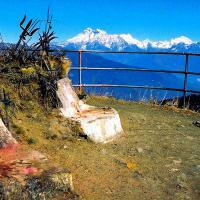 This package is one of the most popular tour of Nepal. These three places is not only famous for natural scenery but it is equally important historically and culturally rich. 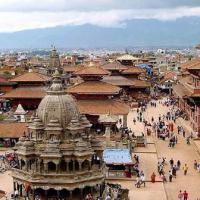 Kathmandu is the city of temples and monasteries. 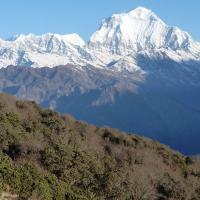 During this tour you will see historical places and get knowledge about Nepal. Lumbini is well known as the birthplace of Lord Gautam Buddha, is the pilgrimage destination of the worlds millions of Buddhists. The main attraction at Lumbini remains the sacred garden spread over 8 sq. kms and possessing all the treasures of this historical area. Other attractions include the various monasteries and stupas erected by different Buddhist countries. Chitwan National Park, where are more than 43 species of mammals in the park. The park is especially renowned for its protection of the endangered one- horned rhinoceros, tiger, and gharial crocodile along with many other common species of wild animals. So Chitwan National Park is famous for Jungle safari. 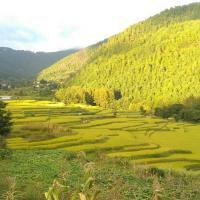 Happy Hari will comitted you to provide a professional guide to make your tour happy and life time memory. Welcome by our official representative in Kathmandu airport and transfer to hotel free after noon, Culture Program with Typical Nepalese food (2hrs) and back to hotel. Full day sightseeing tour in Kathmandu, come to the Hotel Restaurant for breakfast. Your tour guide will be introduced. He will guide you through the Heritage Sites of Kathmandu such as Pasupatinath Temple, Swyambhunath Stupa (Monkey Temple) and Kathmandu Durbar Square. In the morning after breakfast at hotel, Hiking to Shivapuri with packed lunch or dry food and back to Kathmandu hotel. Depart from Kathmandu to Chitwan National Park by drive (6 hrs) after breakfast at Kathmandu hotel , Lunch at Chitwan hotel after short refreshment, seeing sunset view from Rafti river with drinking, back to resort and join the culture program in front of resort, go to bed after dinner. Full day guided Jungle activities in the National Park. Breakfast, Lunch and Dinner Provided, Overnight at Resort. Breakfast at hotel, drive to Pokhara by private vehicle, check in hotel and refreshment, walking around lake side and boating in Fewa Lake, free evening and overnight at hotel. Breakfast at hotel and full day guided sightseeing tour in Pokhara, overnight at Pokhara hotel. Early morning 30 minutes drive to Sarangkot for sunrise with mountain views and terrace field, drive back to Pokhara, Free evening in Pokhara and overnight at hotel. Breakfast at hotel, Depart from Pokhara to Kathmandu by private vehicle (6 hrs), Free evening walking around your hotel, Overnight at Kathmandu hotel. Breakfast at hotel then sightseeing tour around Pharping (Daksinkali/ Gorakhnath cave), Godawari (National botanical garden), Patan Durbar Square, Back to hotel. Breakfast at hotel then go to visit Boudhanath Stupa (the biggest of the world) Changunarayan temple, Evening drive to Nagarkot, Overnight at Nagarkot hotel. In the morning go to view point to see spectacular view of the sunrise and beautiful snow clad mountain ranges, back to hotel and have breakfast, drive to Bhaktapur Durbar Square for sightseeing, after sightseeing tour drive to Kathmandu and overnight at hotel.